The city has received $495,441 in grant funding from the New Jersey Department of Health to expand its childhood lead testing program. This is on top of the $230,000 the state provides to the local program boosting its budget to almost $730,000. Funds will go towards hiring nurses, lead inspectors, conduct outreach, and purchase screening equipment, said health officer Paul Persaud. Until last year, children were identified as having a blood lead level of concern if test results returned 10 or more micrograms per deciliter of lead in blood. This was revised down to 5 or more micrograms per deciliter of lead in blood leading to an explosion of cases. For example, Paterson had just 48 cases of children under six with elevated lead levels in 2016. This skyrocketed to 303 cases once the benchmark was reduced to 5 micrograms per deciliter of lead in blood. 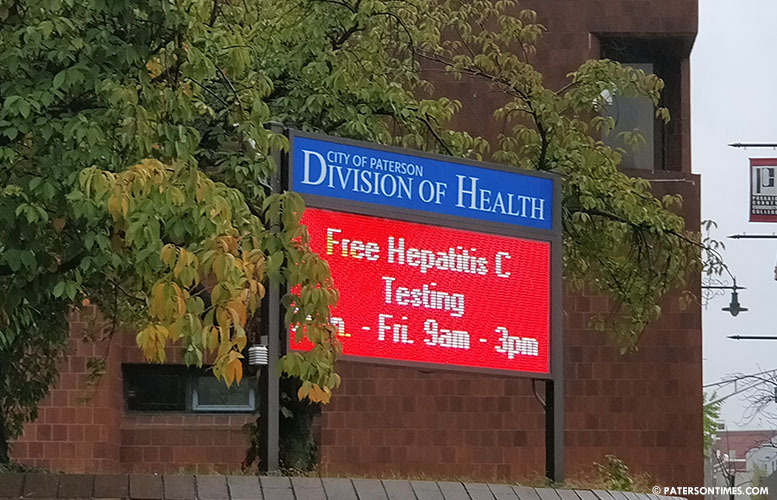 This represents the third highest number among the big cities — Jersey City had 365 and Newark had 671 cases in 2016, according to state health data. The city’s program has 4 staff members. Persaud plans to hire 5 more, mostly nurses and inspectors. The city’s health division provides childhood lead testing services to 27 other towns. Those towns have small number of cases, he said. Some have one or two cases. The city’s led problem stems from its old housing stock. Lead-based paint was commonly used in houses until the federal government banned it in 1978. Some older houses also have corroding plumbing fixtures that leach lead into drinking water. There’s also imported toys that that contain lead.